Before starting work with us Sabadell has developed a digital application initially for iPad only. However, soon after seeing the benefit of providing the same information across multiple platforms, they decided to go cross platform to increase the reach. And this is where Aquafadas technology was a perfect solution.”The Aquafadas Digital Publishing System offers the ability to publish to all devices and systems”, explains Lluís Beltran. Along with the straightforward conversion to smartphone and tablet, iOS and Android, Aquafadas tools allowed for the same enrichments to be included in the app as well as offering much more. To complement the simple yet stylish format for the pension guide, the bank’s digital publication was enhanced with helpful pop-ups, scrollable content to expand on certain information, action buttons for interactivity and dynamic HTML5 content for a more innovative design. “The end result is an elegant digital publication that is perfectly tailored for viewing on both iOS and Android, for smartphones and tablets. 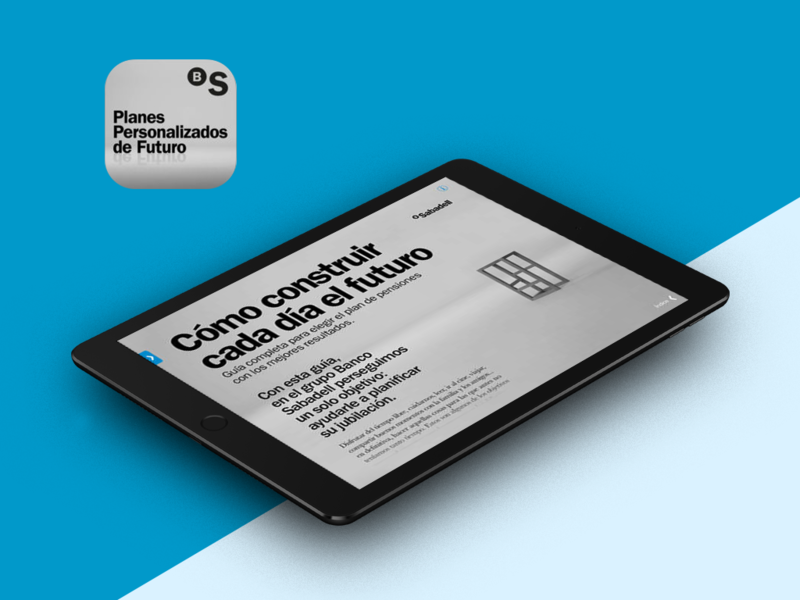 This multi-platform approach allows for as many of Banco Sabadell’s clients and prospective clients as possible to easily access pension plan information.This is the first Pension Plan Guide made by a Spanish financial institution available on the App Store”Lluís explains. The success of the application means the bank will be keeping digital as part of its marketing strategy and will be looking to expand to other publications in the future.